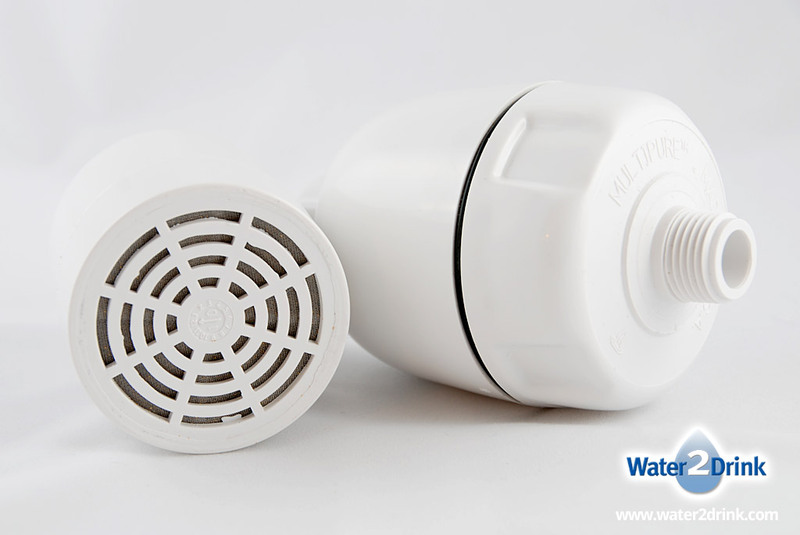 The Aquashower utilizes a specially-formulated KDF®-55 filter media that effectively removes 90% or more of Chlorine from shower water. 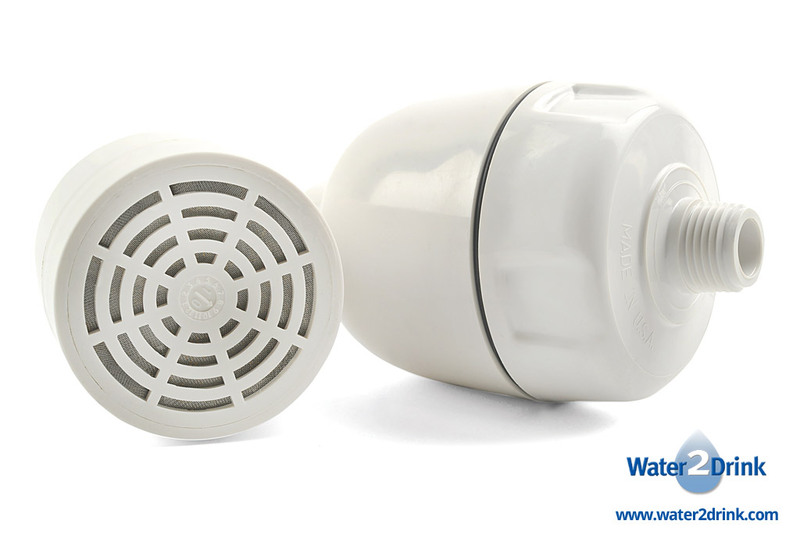 Once in contact with the Aquashower’s KDF®-55 filter media, Chlorine in the water converts into an environmentally safe and harmless soluble chloride. 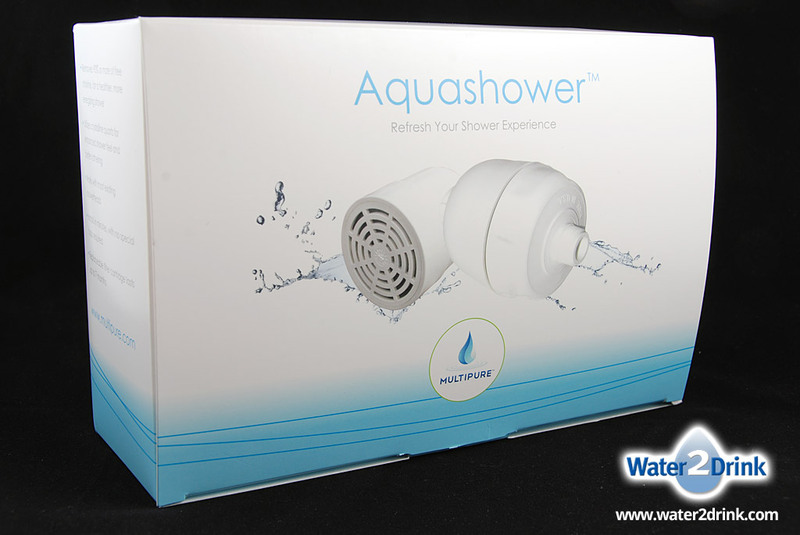 The Aquashower has been tested and certified by an independent laboratory to meet NSF/ANSI Standard 177 for the Reduction of Free Chlorine. 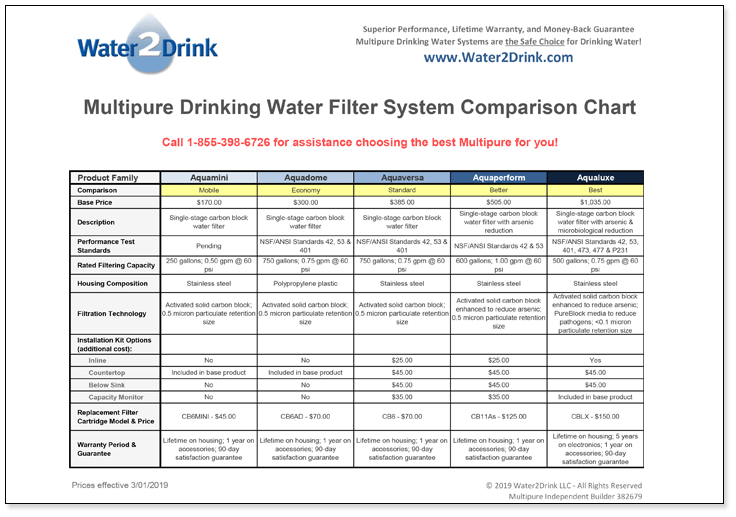 The Multipure Aquashower dechlorinating shower filter is easy to install. 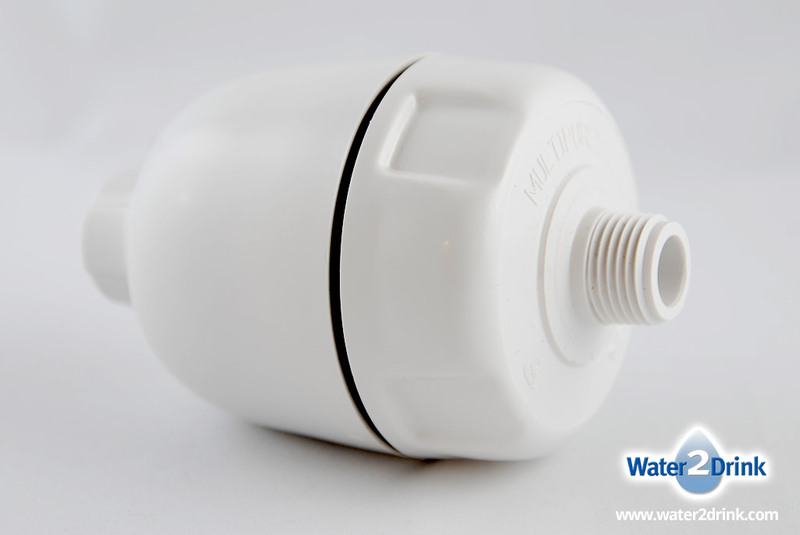 Simply remove your current shower head, screw the Aquashower onto the threaded end of the shower pipe, and then screw the shower head onto the threaded end of the Aquashower. 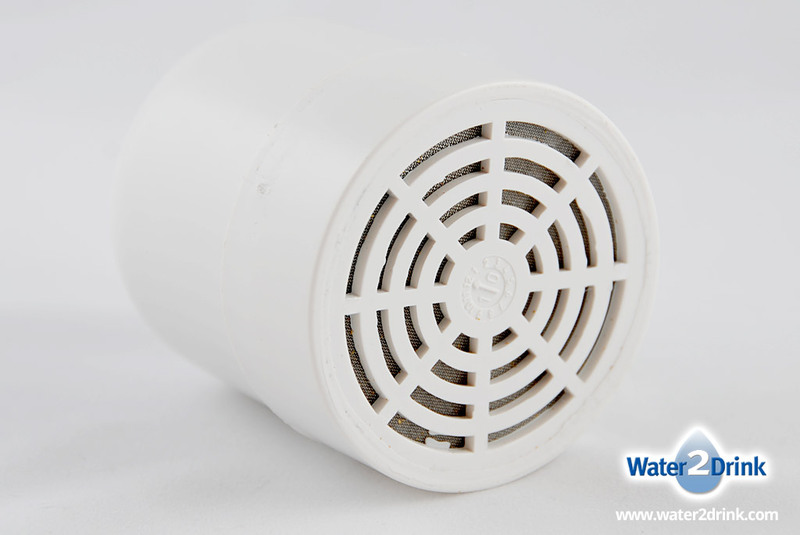 Once installed, the replaceable Aquashower filter cartridge contained inside the filter housing is useful for 10,000 gallons, or about 6 months.